"If your PC is running on windows 7 and when use internet explorer version 9 as browser, you mostly feel some difficulties and you think to install some other browsers like Mozilla, Google Chrome, Opera or any other.This issue is related to cleaning boot"
So from today don't worry about this issue and follow the below steps to cleaning the boot after that your IE9 will work perfectly with your Windows 7. 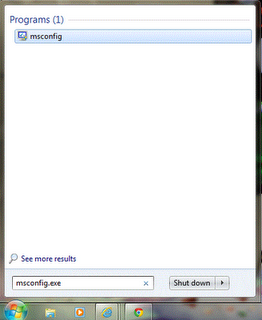 Step-1: Go to Run and type msconfig.exe and hit the enter button. 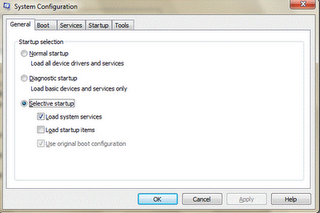 Step-3: Select the selective startup option from the general tab and uncheck the load startup items check box(2nd one). 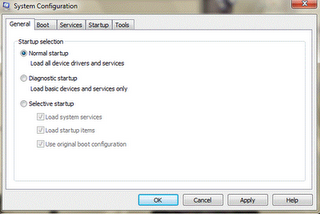 Final Step: Select the Hide all Microsoft services check box from the services tab and restart the system.